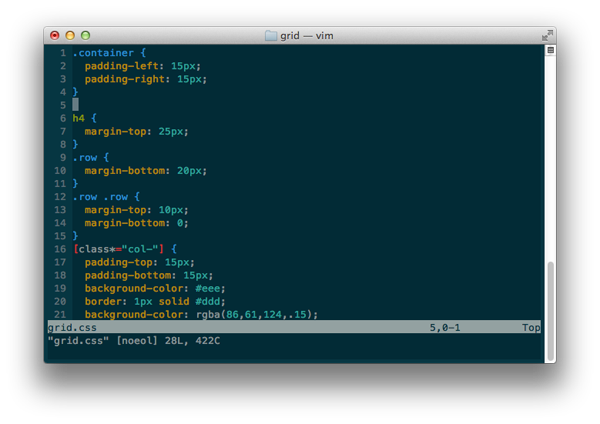 If you’re at all familiar with the Linux/Unix world, it’s safe to say you’ve probably heard of vim. The mode-based editor is famed for both its power and frustrating learning curve. Unlike most editors, which default to a mode where you can type text, vim defaults to a “command mode” where you can edit text through short commands bound to single keys on the keyboard. If you want to enter “insert mode” to type text, you need to press the i key, and then the escape key to return to command mode when you’re done. The commands can even be chained together, so you can, for example, use dw to delete the word the cursor is currently over. Or move the cursor three characters to the right with 3l. The tricky part, besides learning and remembering the various commands is picking up the habit of not staying in insertion mode. The way you’re supposed to use vim is to enter that mode only for short bursts of typing. Then you exit back to command mode. This makes it more natural to use the fast cursor movement and text operation commands.